A city councillor has suggested a mandatory fitting of card payment machines in city taxis. 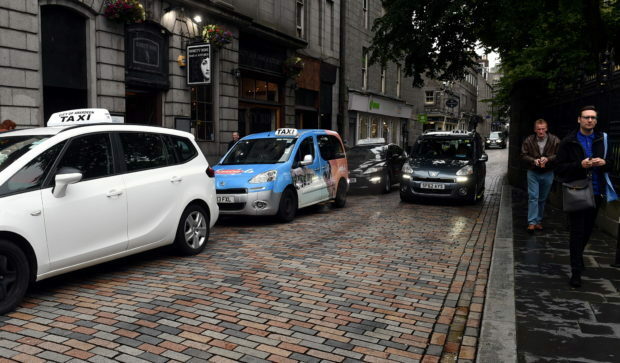 Conservative member Ryan Houghton, who also serves as the council business manager, said that ensuring all cabs have the facility would both improve safety and give a better impression of the city to tourists. People are increasingly using less hard cash in transactions and relying ever more on card payments including contactless. Mr Houghton said the idea could prove especially important to airport taxis. He said: “Taxis form a crucial part of the transport network in our city and for many people second guessing whether any given car will take card payment or not is an unnecessary hassle. “This is especially the case at the airport when we have people flying in from around the world who may not always have sorted hard currency beforehand. “This could also be important for safety late at night as we have a large student population. “First impressions matter. As a city we’re committed to attracting increasing levels of tourism to support the economy and ensuring those who are visiting Aberdeen leave with a hassle free experience.